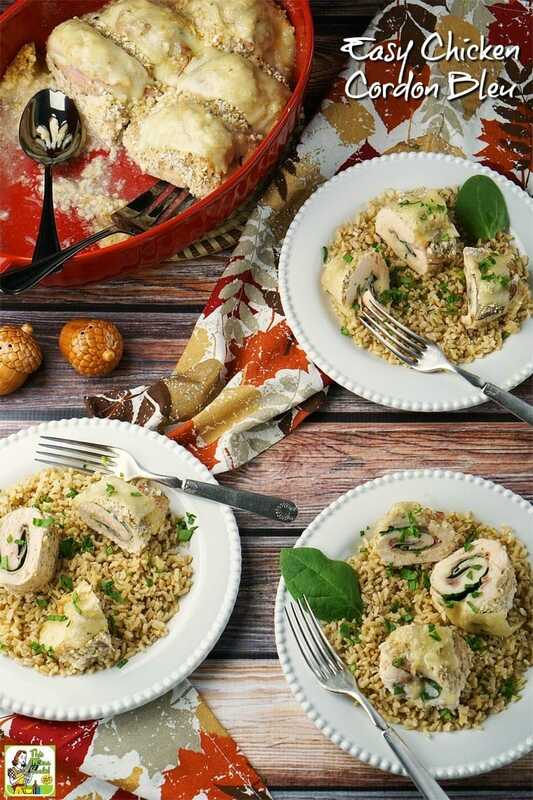 Do you think chicken cordon bleu recipes are too fussy for regular family dinners? Maybe it’s the fancy name or the process of rolling up cheese and ham inside a chicken breast that puts you off? 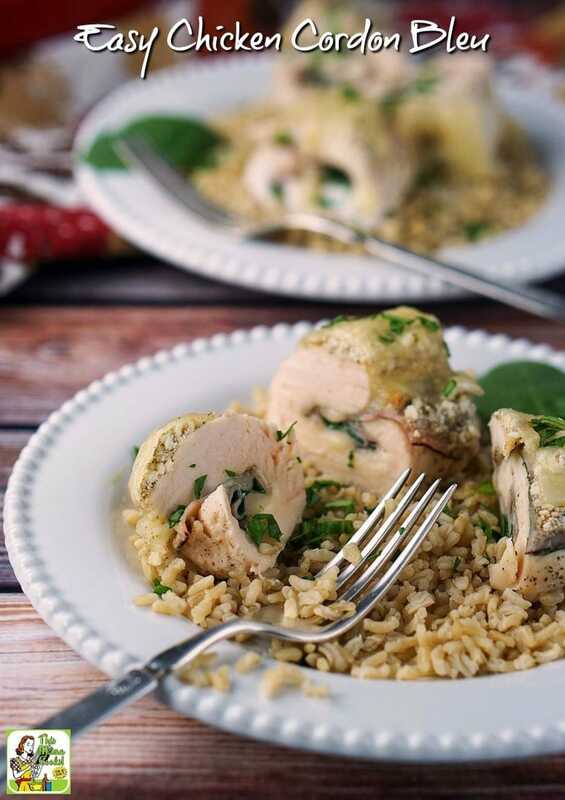 Well, making my Easy Chicken Cordon Bleu is a snap even during a busy weeknight – with plenty of leftovers for you to take to work or school the next day. That because I used a few shortcuts, like buying thinly sliced chicken breast at the store, so I didn’t have to pound the chicken. I also used deli ham slices and Sargento® Sliced Cheese we usually have on hand for sandwiches. 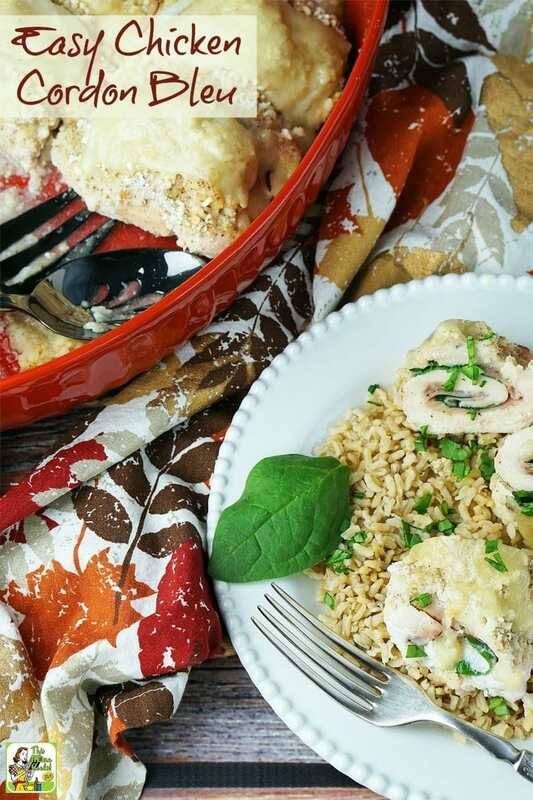 Sargento® slices are just the perfect amount of cheese for this easy baked chicken cordon bleu recipe, and made the rolling the cheese, ham, and spinach in the chicken breast halves extremely quick and easy. I love using Sargento® Sliced Cheese because it’s 100% real, natural cheese – never processed. All their cheese slices are sliced from the block, too. 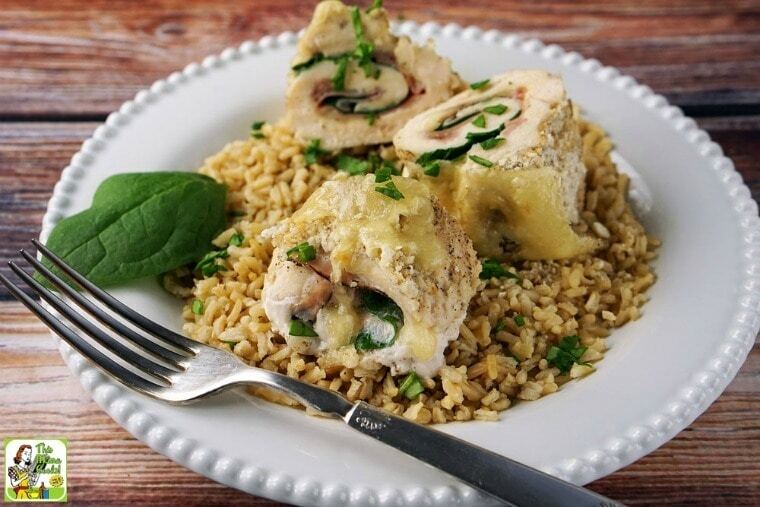 Sargento®’s authentic flavor makes this recipe for easy chicken cordon bleu even more delicious. My family agreed, because my son – who hates chicken – ate two portions, and then took leftovers to school the next day for lunch. 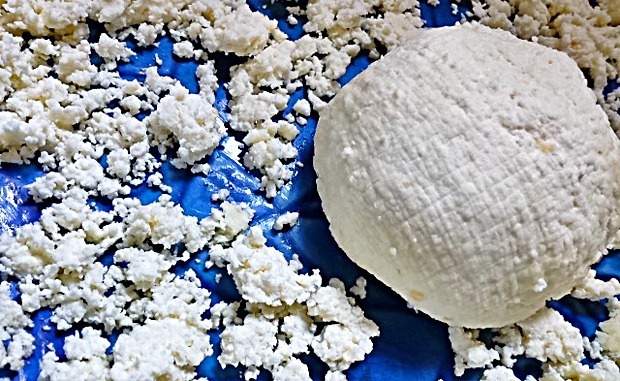 Did you know that Pasteurized Process Cheese Food is only required to contain 51% real cheese? 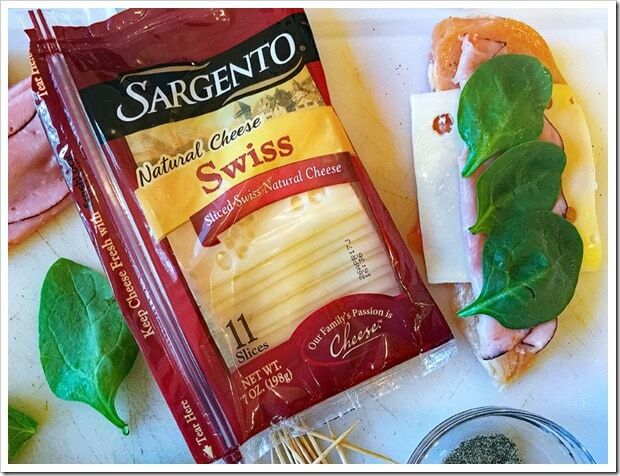 Sargento® goes above and beyond and uses 100% cheese in their slices. They're cheese slices you can feel good about using in your day-to-day cooking. To learn more about Sargento® Cheese Slices, connect with them on Instagram and Facebook. I used a large 9x14 casserole dish to bake the chicken cordon bleu in. A standard 9x13 inch baking dish would work just as well. If you cannot find thinly sliced chicken, you’ll need to pound each breast half between two sheets of plastic wrap to 1/4 inch thickness with a meat mallet. Chicken breasts vs. chicken breast halves. A breast of chicken consists of two halves connected by a breast bone. So what is labeled skinless, boneless chicken breast is actually a half a breast. I used black forest style ham slices. Feel free to use any variety of ham slices you like honey or brown sugar. To keep this chicken cordon bleu recipe gluten free, I used gluten free panko style crumbs. If you can’t find this product at your store, make your own bread crumbs with gluten free bread. Toast 3-4 slices of bread, then grind them in a food processor. If you’re not gluten free, use regular panko style bread crumbs. Panko is commonly sold at most grocery stores, but if you can’t find it, using regular breadcrumbs is fine. Use leftover baby spinach for a side salad. You can also julienne (slice thinly) the spinach as a garnish. If spinach isn’t your thing (or the kids can’t stand it), use another vegetable they like, like shredded carrots or thinly sliced sweet peppers. I served the Easy Chicken Cordon Bleu on rice. But you could also serve it on quinoa or on a bed of creamy polenta. Yum! Preheat oven to 350 degrees F. Spray a large baking or casserole dish with cooking spray and set aside. Sprinkle each chicken breast half on both sides with salt and pepper. Place 1 cheese slice and then 1 ham slice on top of each breast. (Fold ham slice over to fit the cheese slice, if necessary.) Place spinach leaves (as many as will fit – 1 or 2 layers) on top of ham. Then roll up and secure chicken breast half with a toothpick. Arrange chicken breast halves in the baking dish. Pour apple juice over breasts. Place panko style bread crumbs and poultry seasoning in a small bowl and mix thoroughly. Sprinkle combination evenly on top of each rolled chicken breast half. Bake at 350 degrees F for 35 minutes until a thermometer inserted into centers reads 160 degrees F.
Cut 4 remaining cheese slices in half. Put a half a slice on each rolled chicken breast half. Place baking dish back in oven for 5 minutes until the cheese has melted. Remove toothpicks from the chicken cordon bleu. Serve immediately.